The RangeMaster products have been carefully designed to give you internet access in your motorhome, caravan or boat in areas where you might not otherwise be able to receive it. The RangeMater WiFi King is a long range omni-directional WiFi antenna with a powerful transmitter and receiver that is all encased in a durable waterproof housing. With compatibility for Windows PCs or Apple Macs, it comes complete with a 5 metre cable and a secure suction mounting, just stick the antenna to the outside of your vehicle and plug the USB connector into a port on your computer and follow the simple plug and play setup. Everything you need is included. If you want the benefits of long range WiFi with multiple devices or phones and tablets then the RangeMaster WiFi King antenna is also available with a WiFi router which allows you to use multiple laptops, iPhones, smartphones, iPad, tablets or any other WiFi device wirelessly with the WiFi King antenna. 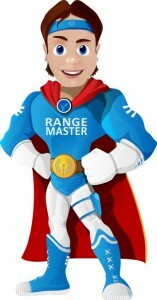 Browse the RangeMaster product range here.